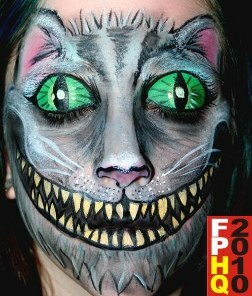 A collection of links to award winning face painting, and the best face painting and body painting on the net. 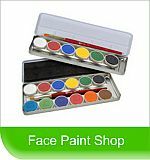 Have a look at the latest trends and ground breaking ideas in the field of face and body painting. See which artists are currently winning the various face and body art conventions and festivals. 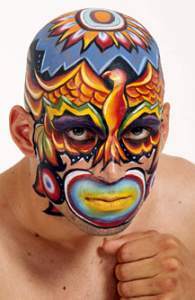 Here are some examples of some award winning face and body painting from the 2010 fabaic - Face and Body Art International Convention. Click on the images below for more information from the fabaic.com website. 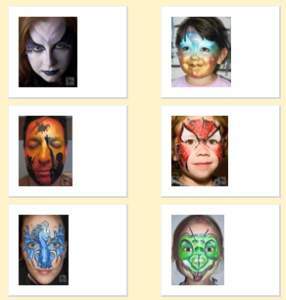 The Face Painting Association was formed in 1995 so that like minded people could get together and share ideas and problems in order to improve standards and raise the profile of face painting. Members have to pass a certification test in order to join and this is to ensure that all FACE Members have reached a set standard of speed and competence. FACE stands for Fast Accredited Creative Experts which means that anyone booking a FACE member can be confident that our high standards will be met. 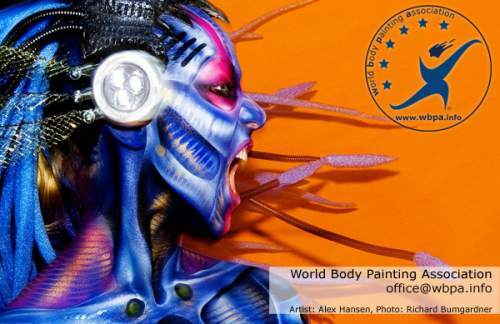 The Face and Body Art International Convention (FABAIC), has been one of the premier events for the Face and Body painting. Cutting Edge Training by world-class instructors continue to produce exceptional art works. These award winning instructors from around around the world, offer quality hands on training. The FABAIC offers classes ranging from beginner to advanced, including classes for children (4-11) and young adults (12-17). The FABAIC has earned a reputation for celebrating the arts in style. From face and body art jams to painted-on shows to an extraordinary competition, there is no better place to learn new skills, networking, and meet new friends.